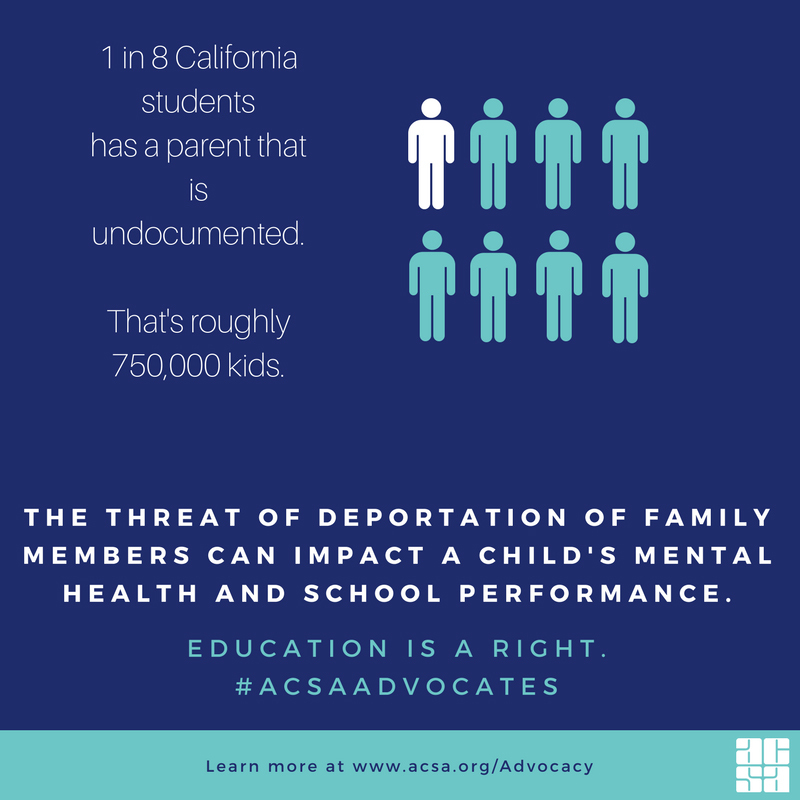 ACSA is deeply committed to ensuring immigrant students and families have access to a safe, equitable, and supportive educational environment. 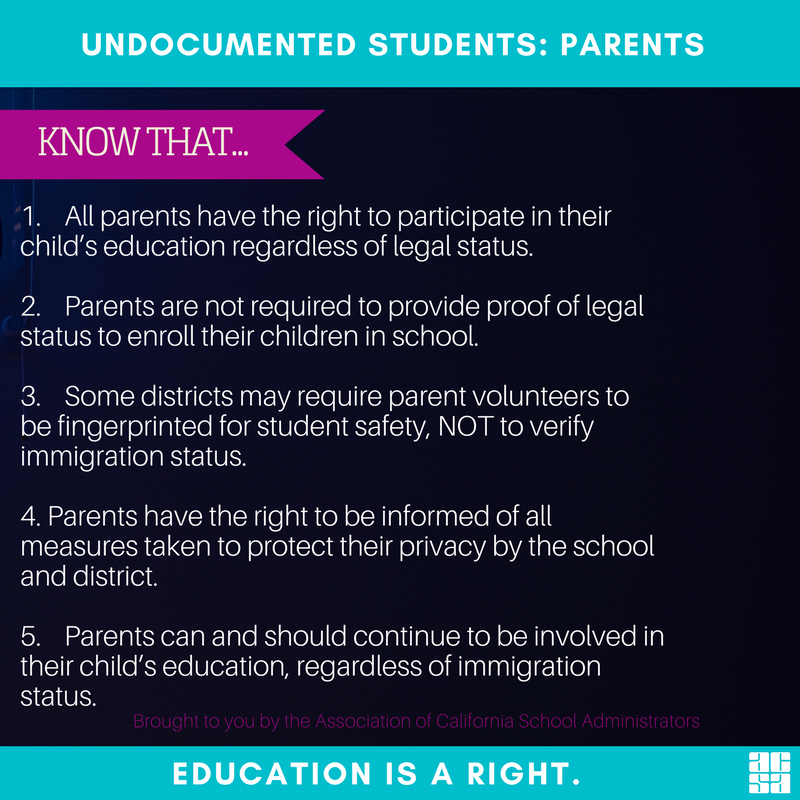 ACSA will continue to lead the way in protecting the legal rights of each student to attend a safe and welcoming school, and each parent’s right to engage in their child’s education, regardless of immigration status. 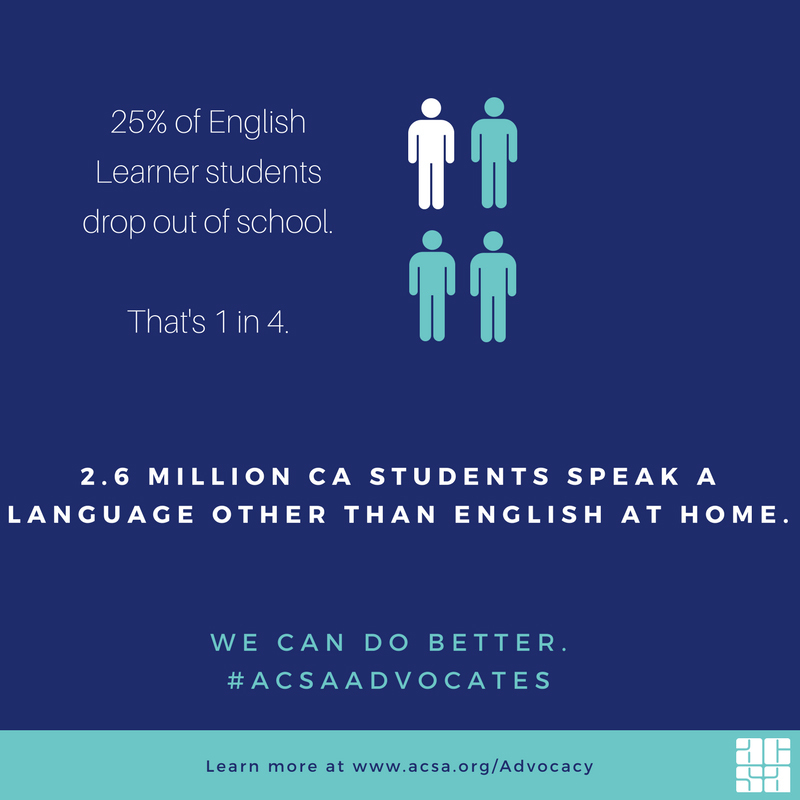 The California Equity Leadership Alliance (CELA) was established to promote policies and practices that eliminate opportunity, access, and achievement gaps throughout the state. 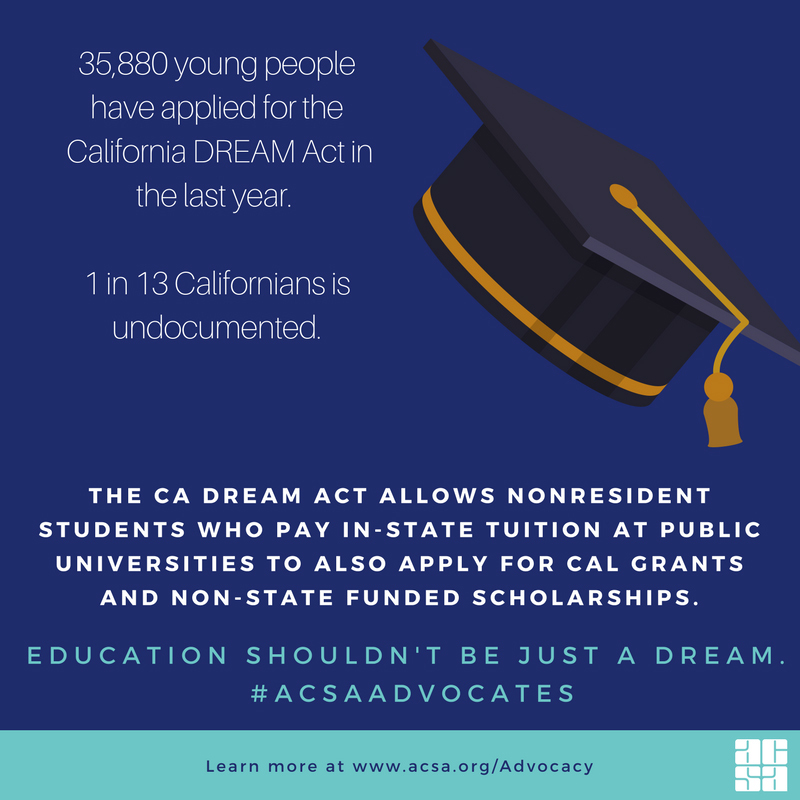 CELA is dedicated to educational equity and ensuring all California students, regardless of race, income, language, or zip code, graduate college and career ready. 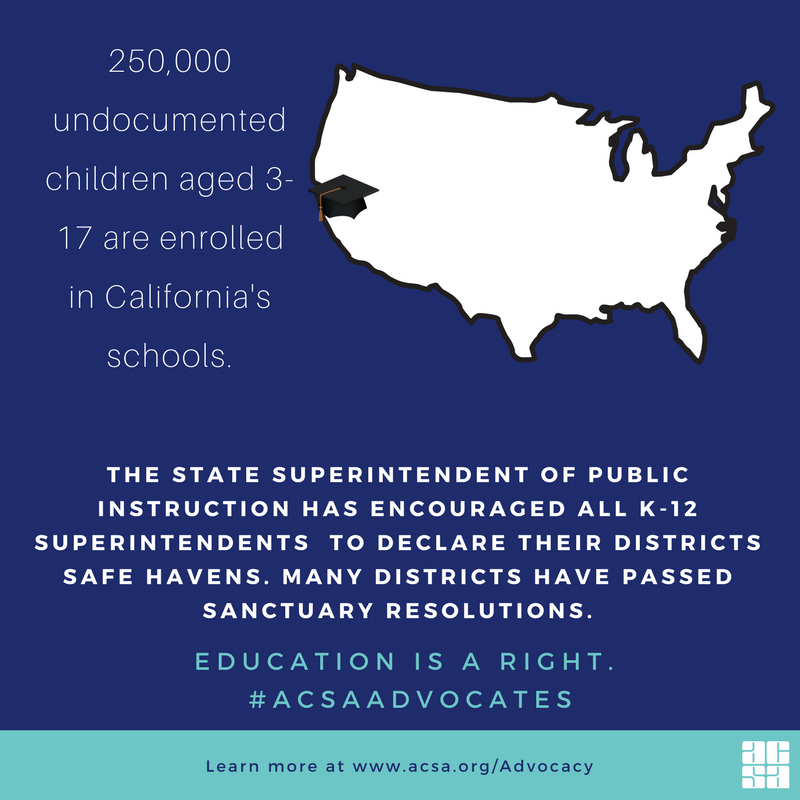 The statewide collaborative is made up of ACSA, the California Association of School Business Officials (CASBO), California Association of African American Superintendents and Administrators (CAAASA), California Association of Latino Superintendents and Administrators (CALSA), California School Boards Association (CSBA), California County Superintendent Educational Services Association (CCSESA), the California State Parent Teacher Association, and The Education Trust-West. 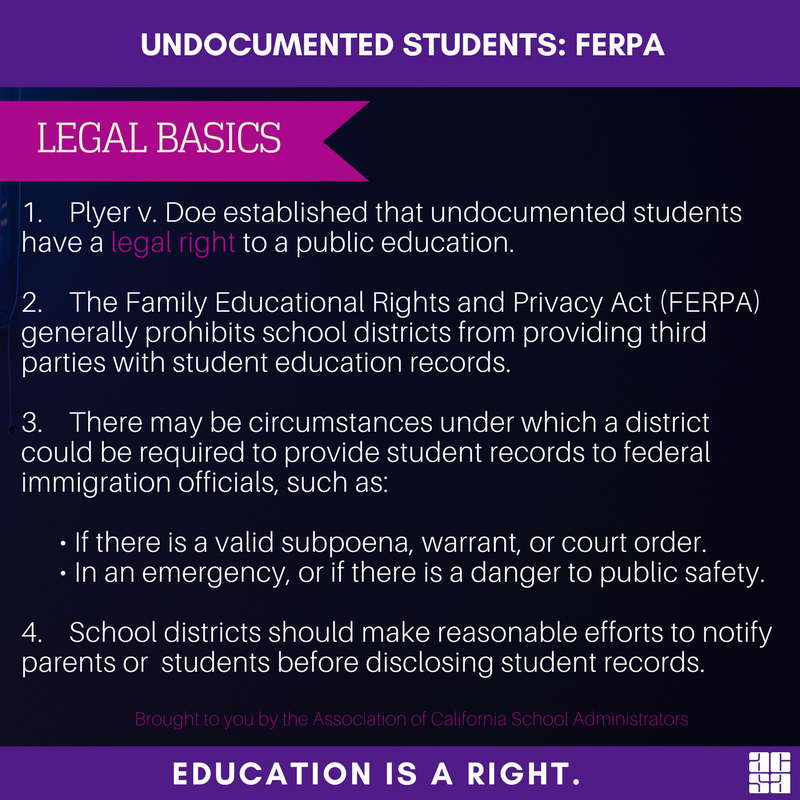 In California, one out of every eight students in our schools has a parent who is an undocumented immigrant and 250,000 students are undocumented immigrants themselves. 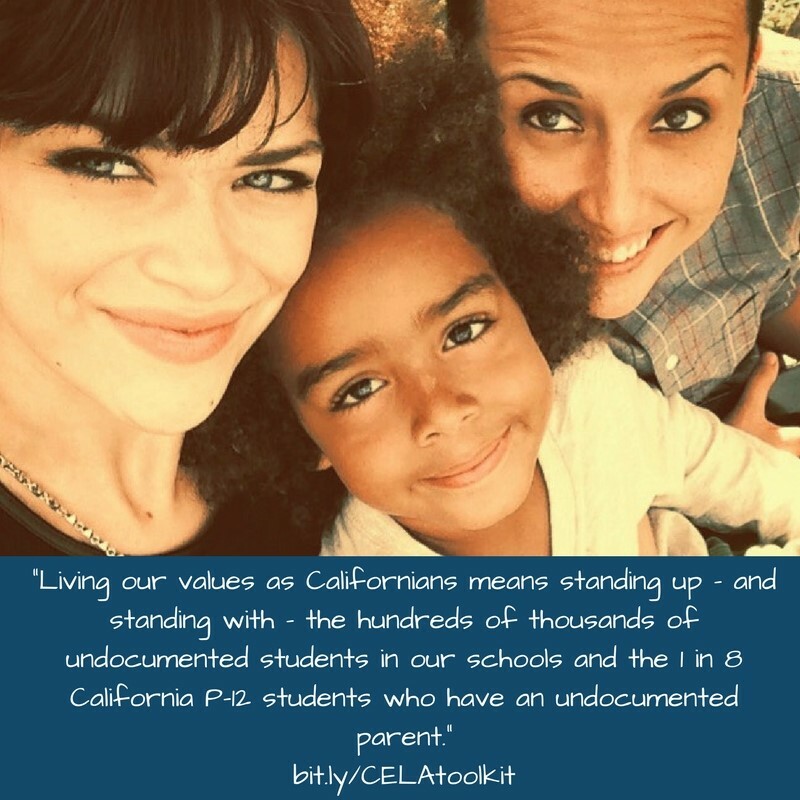 ACSA, as a member of CELA, is stepping up to help support these students and their families with the launch of a new toolkit of resources designed for school administrators, educators, and parents. 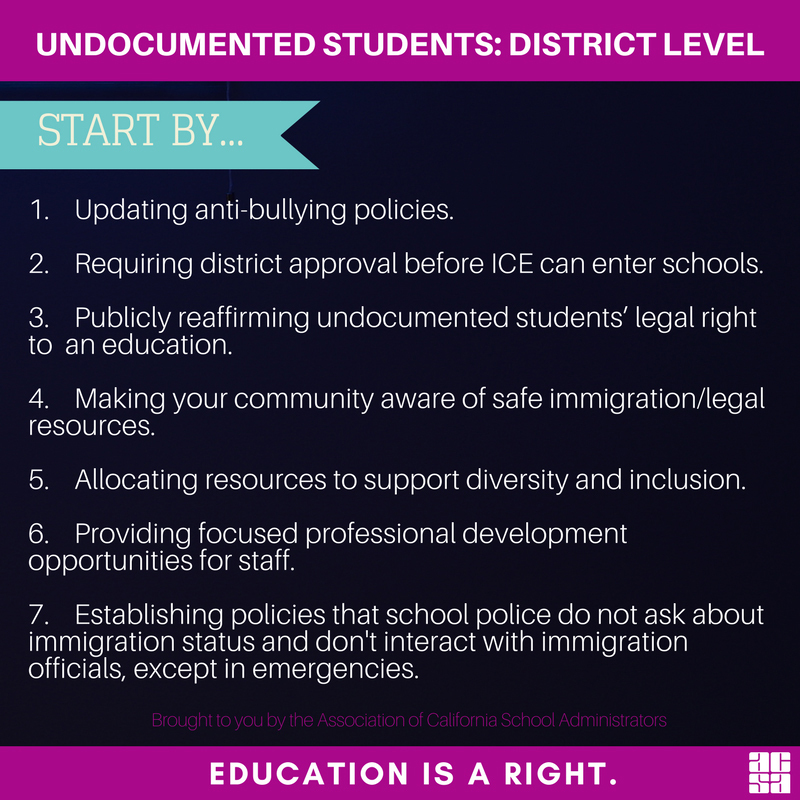 We’ve heard from many ACSA members about the desire to do more to support undocumented students. 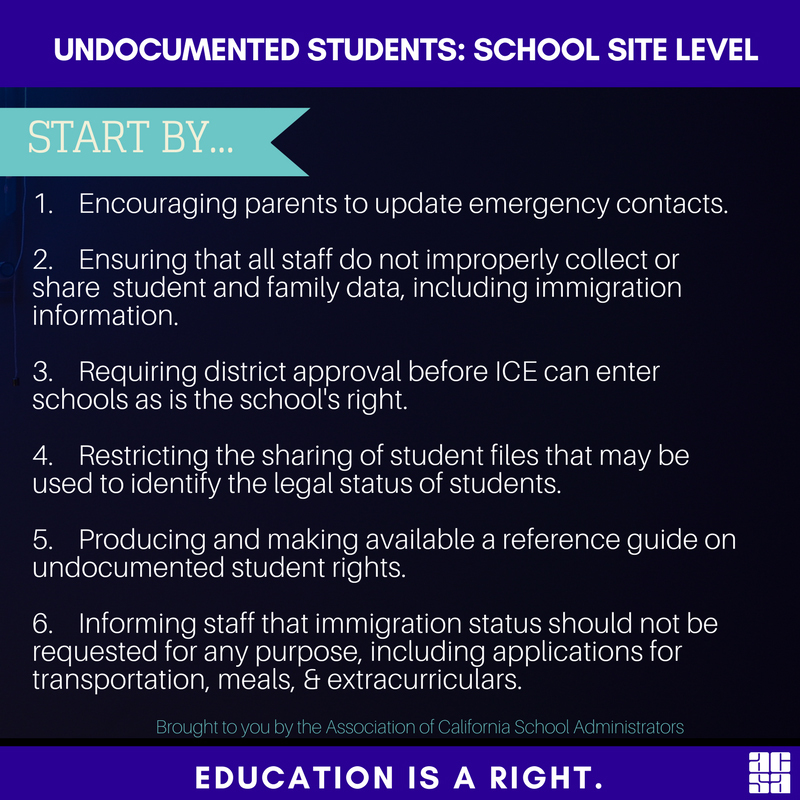 Our goal with this toolkit is to provide the tangible resources to meet that need. 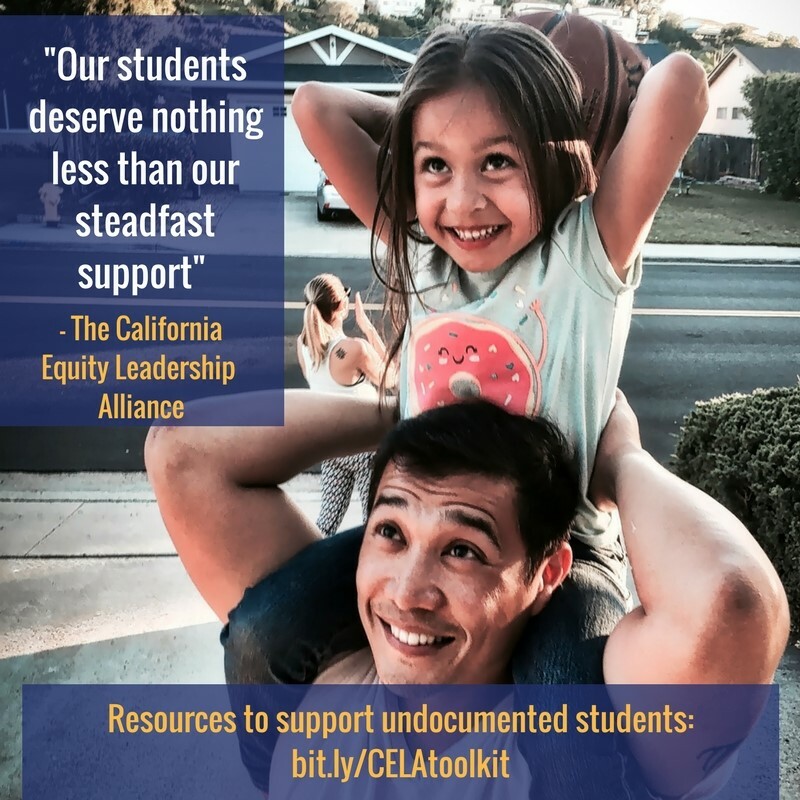 CA Equity Leadership Alliance toolkit!